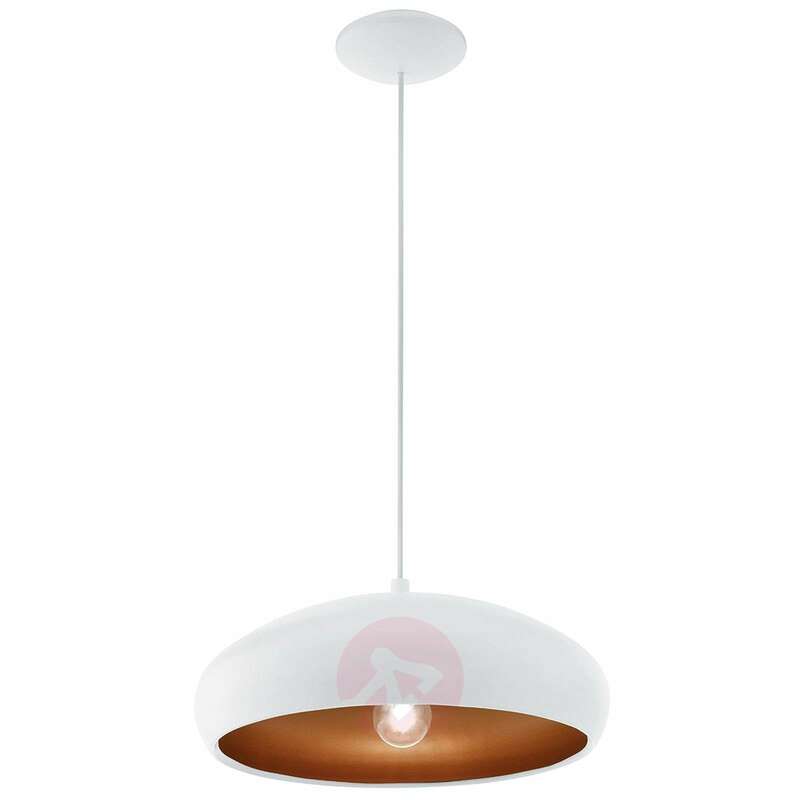 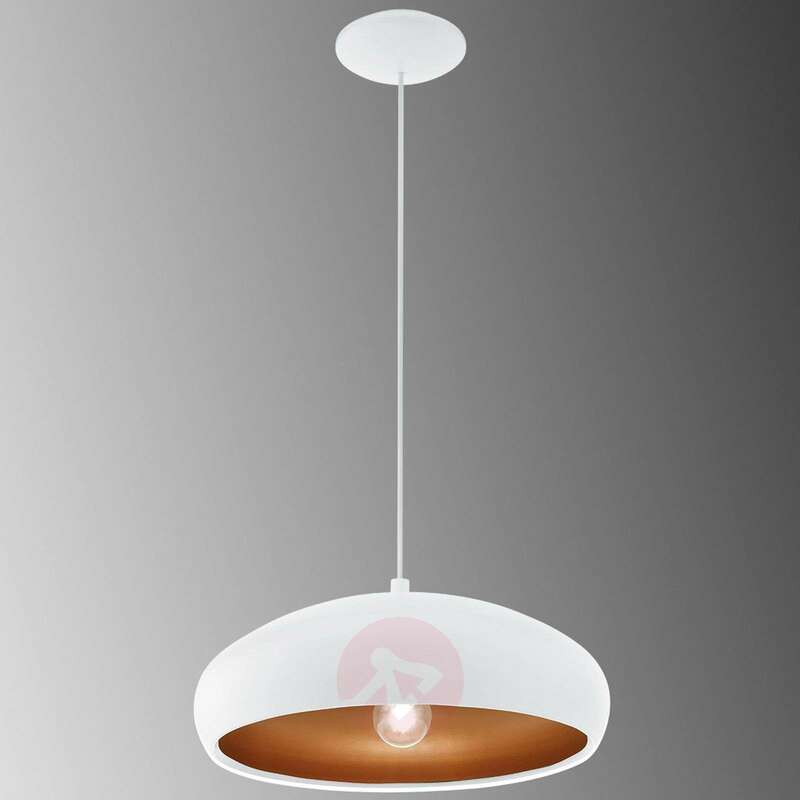 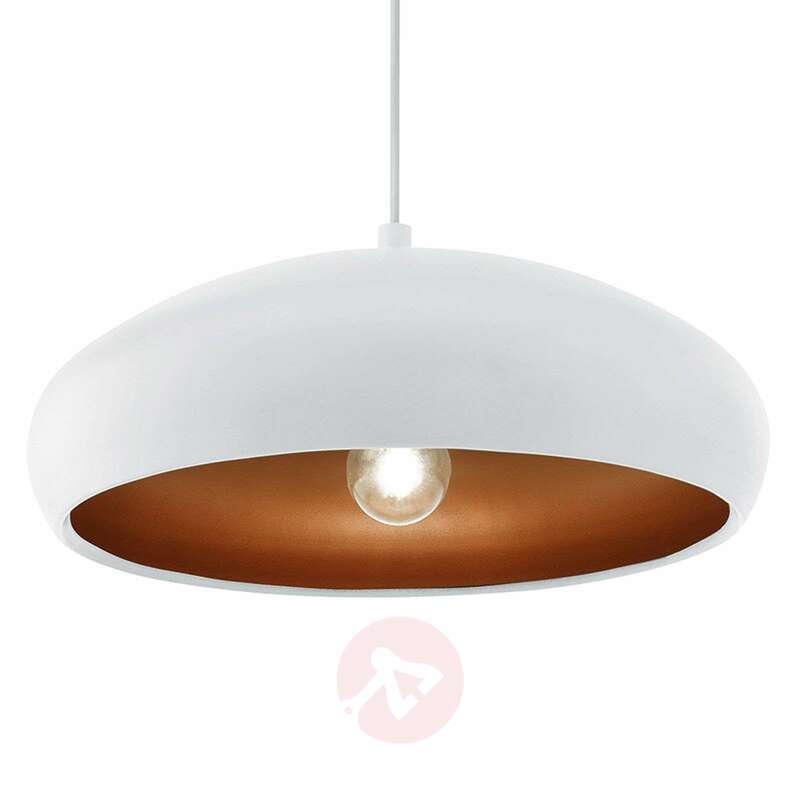 The Mogano pendant lamp offers plenty of homely character thanks to its copper-coloured lampshade interior. 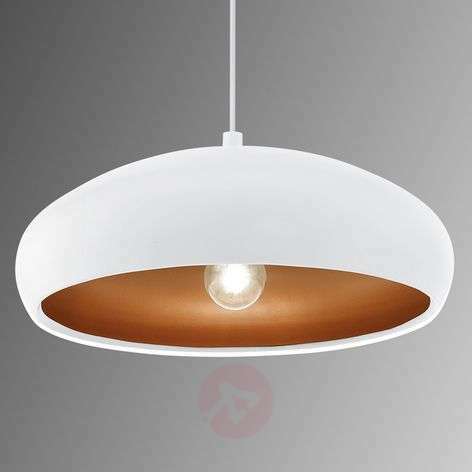 This reflects the light emitted by the E27 light bulb in the middle of the metal lampshade in a wonderful way to create warm lighting for the room in question. 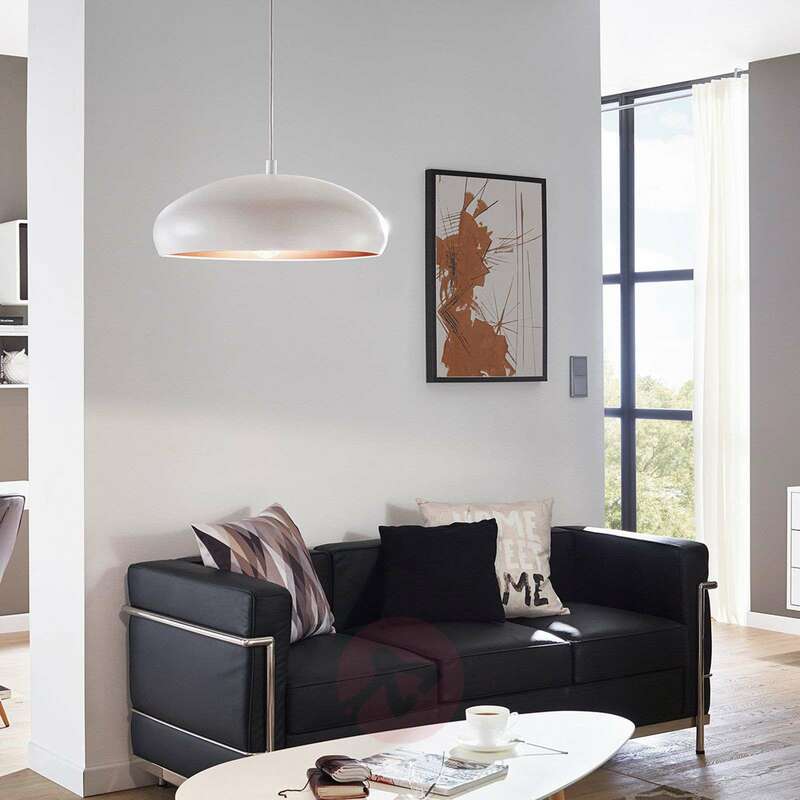 This copper-coloured interior is staged brilliantly by the snow-white finish on the outside of the lampshade – these different finishes combine to create a very elegant appearance.